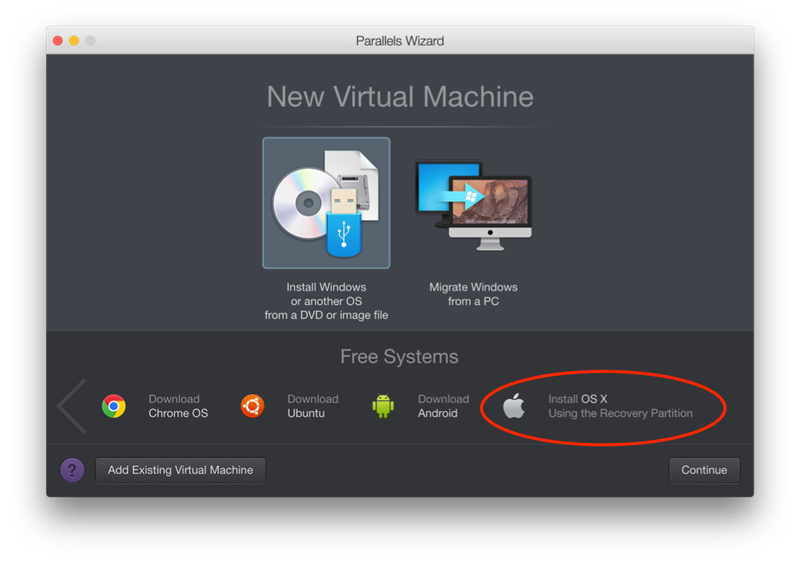 I’ve came across the problem that i cannot create a new virtual machine of Mac OS X Yosemite 10.10 on my new Mac Mini. The problem I experience is that there is no option on the install screen prompting me to »Install OS X Using the Recovery Partition«. The screenshot below shows this option.